Delivery Man is sadly, just another Vince Vaughn movie. It tries to break away from this notion by showcasing a sort of toned down performance by him. And this vehicle manages to even stray away from being another proverbial Vaughn-like comedy (the trailer is a tad misleading). But in the end, we have him playing yet another version of his character from the breakthrough role he had in 1996's Swingers. His performance in that landmark film is one that I believed, made him a big star. And now twenty years later, he is still giving versions of that performance which has been stripped down to almost nothing. Vaughn's acting style involves talking fast (he improvises to the point of absurdity), walking like he's hungover, nodding his head, yelling, and pointing (he also seems to like to have his hands on his cranium in almost every single movie poster). He likes to do projects that aren't based on true stories, a book, or anything historical. His films are spawned out of silly, trivial ideas and thoughts. Finally, he plays characters who are simpletons or boys who are trapped in men's bodies (there is also an imbedded "token" best friend in all his films giving him everyday advice). Following his most recent work, you sense that he has relieved himself of all of his integrity without even knowing it. And now after the recent revenue numbers for Delivery Man were next to nothing (whoever thought that this movie could go toe to toe with the release of The Hunger Games might need to be fired immediately), it's safe to say that the Vaughnster is churning out box office flops faster than Usain Bolt in last year's Olympics. Taking off without much character development or heightened buildup, and containing a scene where two people have a conversation in pouring, torrential ran for no reason, Delivery Man follows the sad sack existence of one David Wozniak (Vince Vaughn). He lives in a cluttered apartment, works in the family business by driving a meat truck (while watching this thing I was wondering, was Vaughn's character adopted because he stands about a foot taller than his two brothers and his father, just an observation), owes $80,000 to the kind of people you don't want to mess with, and dates a woman police officer who reveals to him that she is pregnant with his child. Now David is really bad at his job (the only reason why he doesn't get fired I suppose, is because his father is his boss) and doesn't have much direction in life until he gets some shocking news. Twenty or so years ago, he made over 600 sperm donations to make money and because of his outstanding reproductive count, he ends up fathering 533 of them. When these young adults become curious about their long lost daddy, they end up forming a large support group and even signal for a class action lawsuit in order to find the identity of the person they never knew. Vaughn's character, not revealing himself to any of the supposed children, acts as a quote unquote "guardian angel" to them and helps them get by in everyday life. His donations long ago, resulted in examples such as an NBA basketball player, a struggling actor, a musician, and a troubled drug addict. What's strange is that even though two decades have passed, the kids all seem to still live in New York City. What's even stranger is that there are so many of them (did it have to be 533, I mean why not like a hundred or so, geesh). Now despite being predominantly creepy (the guy has half a thousand kids and one on the way, seriously) and calculated by outlandishly sketched ideas, Delivery Man still manages to be very well made. It has a brisk pace, it doesn't contain any major plot holes, and it manages to pull at the heart strings ever so slightly in the last half hour. But don't kid yourself, there are a few things wrong with it. For instance, why is it that none of the children's moms are ever seen? I mean not even once (added to that, his best friend in the movie has four kids and his wife is never in the picture. Does Delivery Man have something against women in general?). I know that these people are in their twenties, but it just seems kind of closed off and weird. And what's with Vaughn's David dating a sophisticated, mature police officer. It seems kind of odd that this woman would ever consider being in a relationship with an underachieving schlep like Vaughn (I guess it benefits him when he gets tons of parking tickets in the first twenty minutes of the film and I'm thinking he doesn't have to pay for them). Then there is the fact that 90% of the kids he created don't look anything like him. I'm sure that the casting director could find a few more actors here and there that at least fit Vaughn's facial description (only a couple of said young adults did any real acting in the film anyway so maybe the casting department could find a dozen lookalikes right off the street). Finally, there is a scene where he goes on sort of a wilderness retreat with his 500 plus sons and daughters. They don't know his identity as the sperm donor even though it's painfully obvious that they could probably figure it out. This leads me to define Delivery Man's biggest problem: it thinks it's as smart or smarter than the audience. We as ticket buyers, know better. Trust me. Now on the acting front, the supporting cast that surrounds Vaughn's Wozniak, is exhaustively weak. The one exception however, is Chris Pratt who plays his best friend Brett. 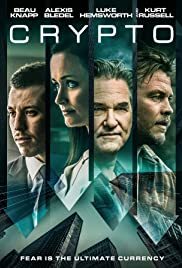 Acting as his attorney full of life changing advice and hard nosed tough love, Pratt gives a better performance than Vaughn and the whole flick itself. And despite the fact that his character talks down to Vince's character telling him that he has and I quote, "serious has mental problems," Pratt's Brett still manages to make a grand impression on the audience (this is evident even though there is a simple one note feeling that Delivery Man projects). One of his best scenes is in the last act and it's microcosmic movie gold. I got a feeling that maybe someday he might helm his own cinematic endeavor. In retrospect, Delivery Man is not necessarily a bad film. In fact, like most of Vaughn's recent work (especially The Internship), it's totally harmless. But as I said in the last paragraph, it's a one note exercise that being reminiscent of Vaughn's last 4-5 outings, could only pass as a sitcom or a low rent TV movie. I give director Ken Scott (Delivery Man is a remake of his other film, Starbuck in 2011) credit however for adding a soggy dramatic center to the proceedings. This allows Vaughn to at least kinda branch out as an actor and try to switch gears a little (just a small amount mind you). Bottom line: as a meaningless way to kill an hour and a half, this November release will fill a void. As a complex farce destined to be taken seriously, Delivery Man ultimately, just doesn't quite deliver.